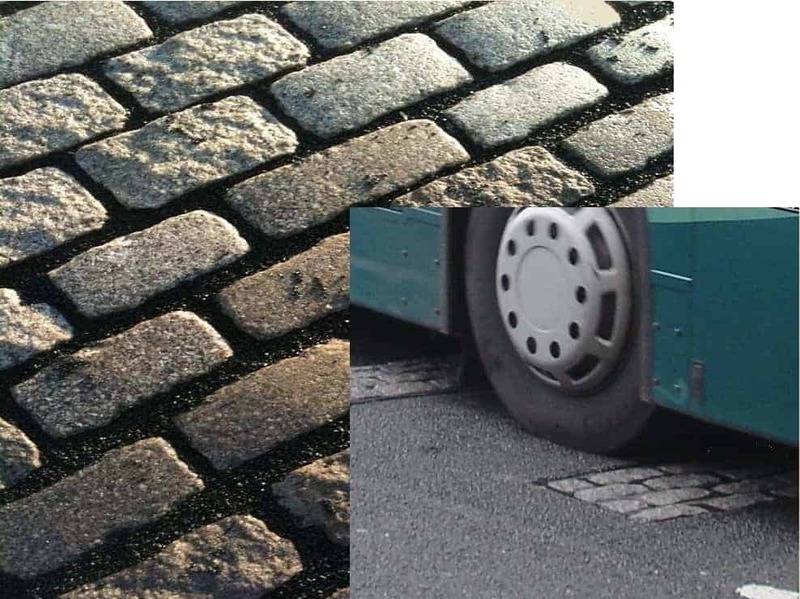 StyleSetts can be used in all situations from traffic calming rumble strips, boundary marking, edge detailing and decorative paving. The specially designed bedding and jointing compound flexes with the substrate, enabling StyleSetts to withstand the forces exerted when subjected to heavy loading. 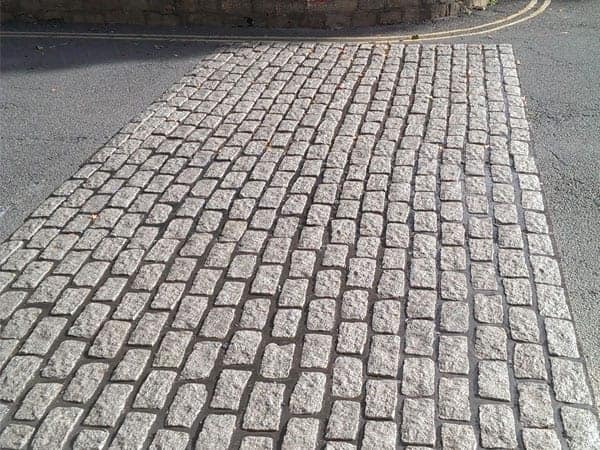 StyleSetts require no excavation and are fixed to the existing macadam surface with a special rapid set designed resin which will reduce the overall duration of a project compared to traditional methods. This in turn reduces, labour and, plant cost ,traffic management cost, road closure and disruption and delay the road user. 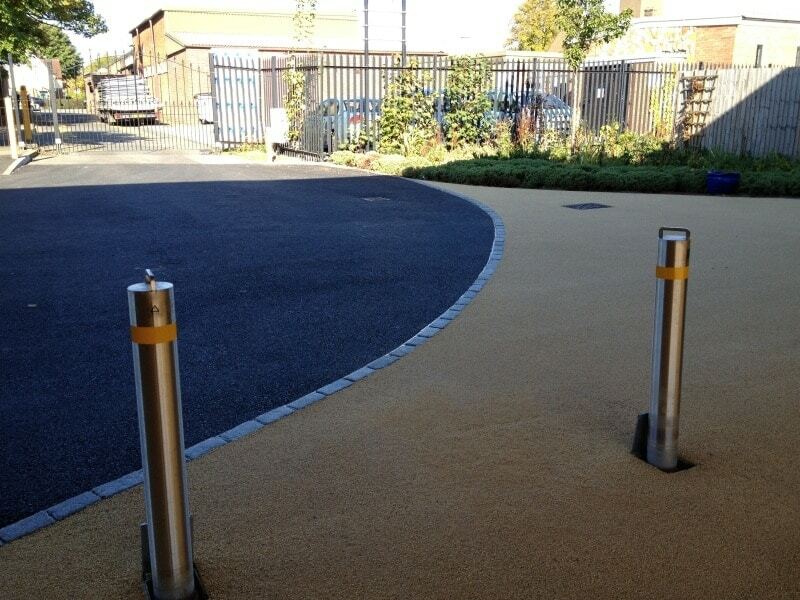 StyleSetts are manufactured from re-cycled and are light weight and easy to handle. Manufactured from re-cycled crushed Granite from quarry waste and uk sourced resin. Hard enough to withstand modern day traffic volumes ideal for historic towns and cities.